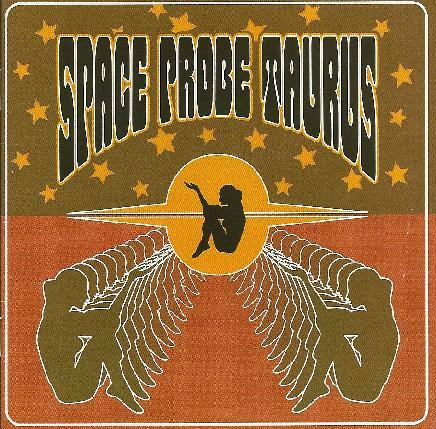 Space Probe Taurus began life back in 1992 as a jamming space rock band called Snake Machine. With a shift to more song oriented stoner rock in 1997, they changed their name and blasted out onto the scene with an EP release and contributions to several compilations and even scored a song on an underground film. This is their first full-length album. Inspired by 60's garage rock like Blue Cheer and MC5 and the kind of music you'd hear in biker movies, but with a slightly psychedelic edge, Space Probe Taurus reminds me of bands like Fu Manchu and Nebula. The songs are tightly composed and catchy, but are always hard rocking, with nice and dirty, totally fuzzed out guitar. There are also a few touches of spacey weirdness in songs like Molten Lava and Psi-Burn that seem a slight nod to their earlier space rock days, but for the most part, Space Probe Taurus is all about the riffing and the rocking. Great cruisin' down the highway kind of music!